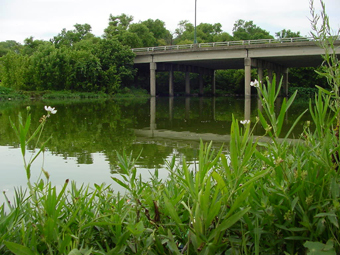 The story of the Lady of the Lake (or sometimes the Lady in White) is one of the most well-known ghost stories in the Dallas area. 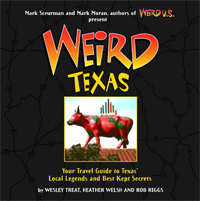 Almost anyone we asked about weird stuff in the area mentioned it. 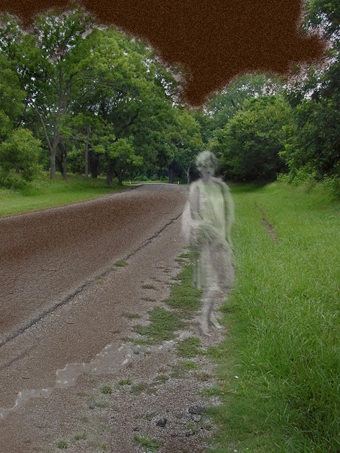 Here's how the typical encounter with this spirit is usually reported: A man is driving on one of the roads that run around the lake late one night, when up ahead at the side of the road he sees a strange sight––a lone young woman, dripping wet and wearing a 1920's-era evening gown. The man pulls over and asks the woman if she needs some help, and she asks him for a ride to a house on Gaston Ave. The man obliges, driving through the night to Gaston Ave; the young woman remains silent beside him. When they finally reach Gaston Ave the man turns to ask the woman where he should pull over and to his shock, she is gone... just silently disappeared, leaving nothing but a wet stain on the car's seat. Legend says that the ghostly lady was once the daughter of a wealthy family in the 1920's. One night, on the way home from a party or ball, there was a terrible accident as the car she was riding in wrecked (possibly off of a bridge) into the lake, and though her companions survived, she drowned. Some say she is still trying to make her way home. White Rock Lake is absolutely beautiful, and when Weird TX visited we could see where it could be creepy after dark. It's surrounded by thick, dark woods, and a lonely road winds around its shores. There are these giant cranes or egrets everywhere that are pure white and make these mournful cries. We sort of wondered if they might ever get mistaken for the Lady of the Lake at night. We also saw a big bridge spanning part of the lake. We have no idea if it's the one she's supposed to have crashed at, but we didn't see any other bridges as we explored. We drove around the lake a few times as twilight descended, and although we kept an eye out for a ghostly hitcher, unfortunately, she didn't show herself to us.